WT picks out a few of their favourite recipes for summer time! 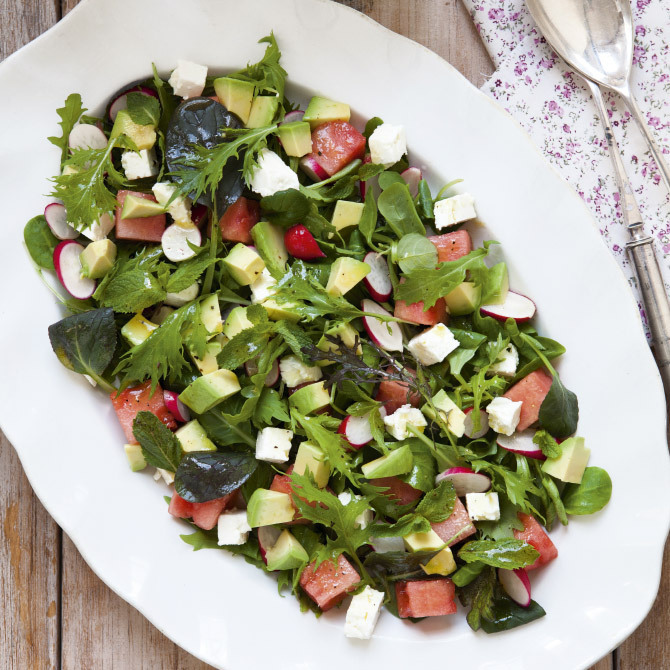 Watermelon is amazing in a salad, bringing a gorgeously sweet crunchiness. Combine that with salty feta and ripe avocado and you have a feast that's as lovely to eat as it is to look at. Cut the watermelon into chunks, removing the peel and seeds. Do this over a bowl to catch the juice and set the juice aside. 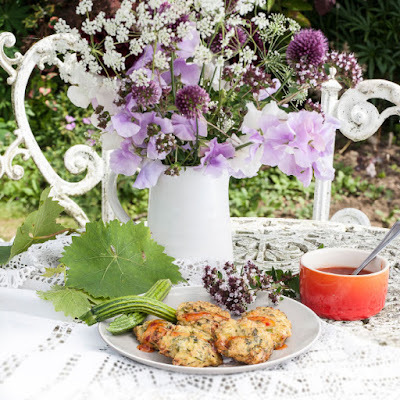 These small, spicy morsels have a tangy kick and make delicious finger food for a summer garden party. Grate the courgettes and squeeze out some of the liquid (place in a colander or sieve and press a saucer down on top) this will help the fritters stay crispy. Add the other ingredients, but save half the coriander as a garnish. Combine thoroughly. Form the mixture into patty shapes and sauté in a little oil until crisp and golden. Serve with sweet chilli dip. 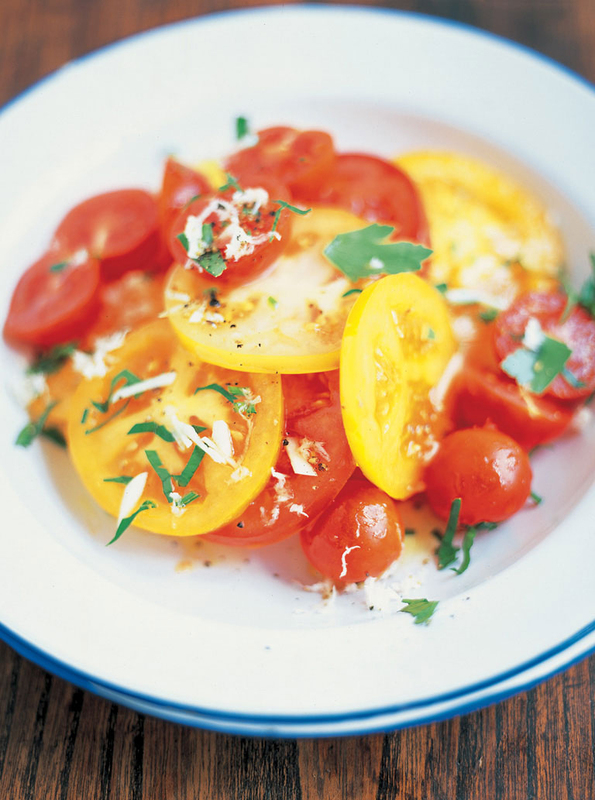 For this salad it's great to try and get a whole mixture of different tomatoes, at room temperature, nice and ripe. Let them sunbathe on the window ledge if need be! Try and get hold of fresh horseradish – give your greengrocer a challenge to get some in. Cut the bigger tomatoes into slices about 1cm/½ inch thick. You can halve the cherry tomatoes or leave them whole. Then sprinkle them all with a good dusting of sea salt. Put them in a colander and leave them for 30 minutes. What's going to happen here is that the salt will draw the excess moisture out of the tomatoes, intensifying their flavour. Don't worry about the salad being too salty, as a lot of the salt drips away. This salad is fantastic with roast beef, goat's cheese or jacket potatoes. And to be honest, even if you put these tomatoes in a roasting tray and roasted them with some sausages scattered around them it would be nice. 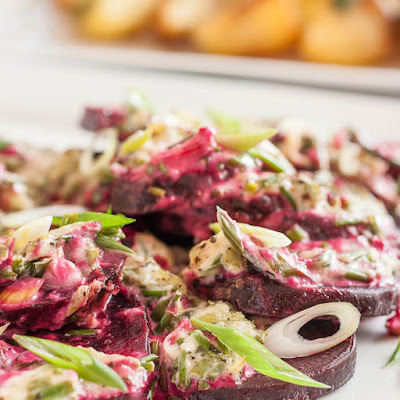 Wrap each beetroot in foil, place in a roasting tin and bake for 90 minutes, or until cooked.Leave to cool, then peel and slice the beetroot. Mix the crème fraîche and horseradish together, stir in the spring onion and chives and season.Spoon over the beetroot and pop into a hot oven for 10 minutes in order to heat through. 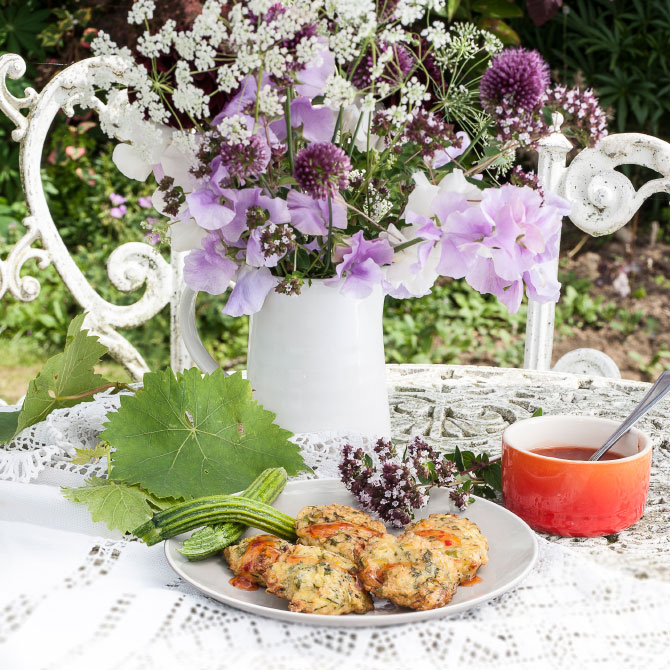 For more recipe inspiration pop to our website or grab the latest copy of Wealden Times!